The Page Layout algorithm was an impressive change done by Google on January 19th 2012 affecting 1% of English queries. It affected websites that displayed a lot of ads above the main content and followed a high ad to content ratio. This algorithm change is commonly known by the name "Above the fold page layout algorithm" which means how many ads does your website have ahead of the main content. We all know that users are always looking for content when they visit your website so its better from user point of view to increase the rankings of those website which offers real value content to the users and less ads. 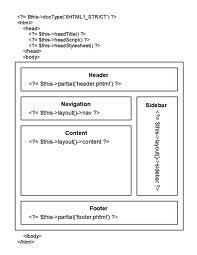 Above the fold simply means what is the percentage of area of the webpage that is displayed to the user above the fold i.e. without scrolling down to the bottom of the page. This is a significant factor is finding rate of successful conversions. The first update of Google's Above the fold page layout algorithm was done on October 9th 2012 affecting 0.7% of English queries.